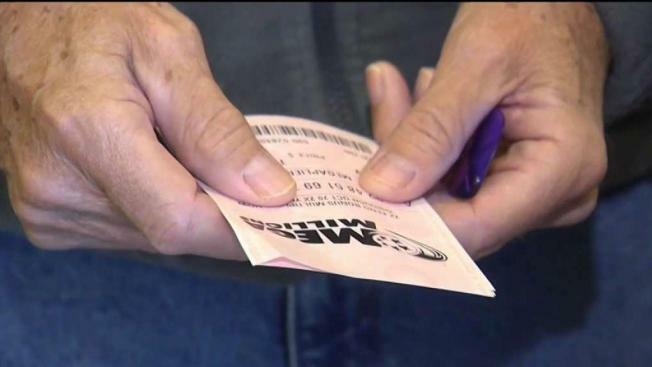 Millions of Americans are hoping to win a $667 million jackpot from Mega Millions. A Massachusetts woman won $1 million on a Powerball ticket this week. Lottery officials have identified Ilona McCahill of Wareham as the buyer of the winning ticket sold at a Stop & Shop store in that town. The grocery store will receive $10,000 as a bonus for the sale, Massachusetts State Lottery officials said. Lottery officials said the $50,000 winning tickets were also sold were at Bob's Beer & Wine in Bellingham, Market Basket in Tewksbury and Convenience Plus in Lee. McCahill won her prize on Wednesday's Powerball drawing. No grand prize winners were named, and the jackpot in Saturday's drawing has now reached $470 million, according to lottery officials. Friday's Mega Millions jackpot has eclipsed $1 billion.